The aim of the CitA for 2017 is to work more with the regions and get more SMEs involved on the industry's BIM Journey. Because of that, the organization wants to encourage all of the shortlisted projects at the Irish BIM Innovation Awards to speak during 2017 CitA Smarter Building Series. That will bring a new chance to build on and deepen the relationships with the CIC constituent groups in 2017 and include them in the design of this years program. Reaching out to the clients and facility managers will also be important. 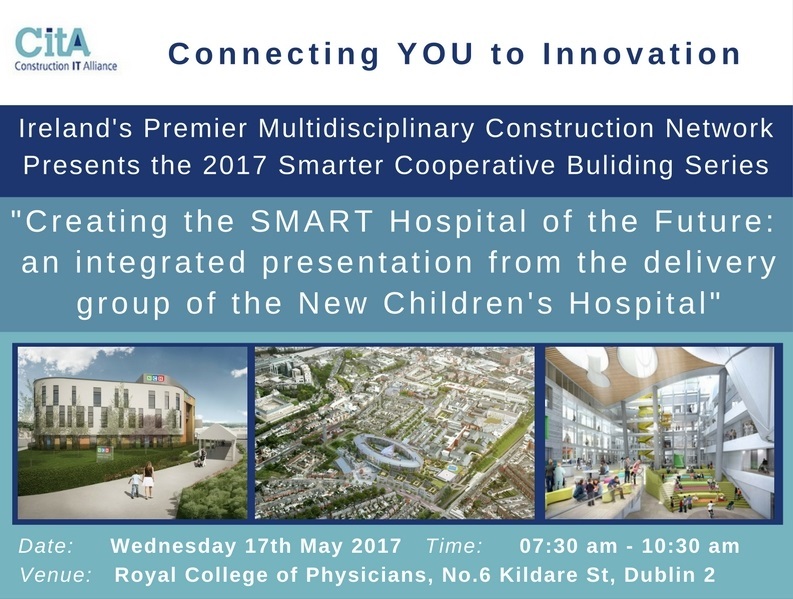 This event will be focused on "Creating the SMART Hospital of the Future: an integrated presentation from the delivery group of the New Children's Hospital". Speakers from the Irish country will face different issues regarding BIM projects in the industry.